WELCOME TO SMART FIX LAS VEGAS! Smart Fix has been offering industry-leading phone repair services in Las Vegas for 9 years! Phone repairs in Las Vegas have always been our expertise, way before all the other stores were even conceived! Our knowledge for phone repair in Las Vegas is unmatched and will never be matched. We continue to grow as a company, and with it, we continue to grow our knowledge of new technologies. You don’t have to look anywhere else when trying to find a professional and reliable Las Vegas phone repair company. We are always here to help! 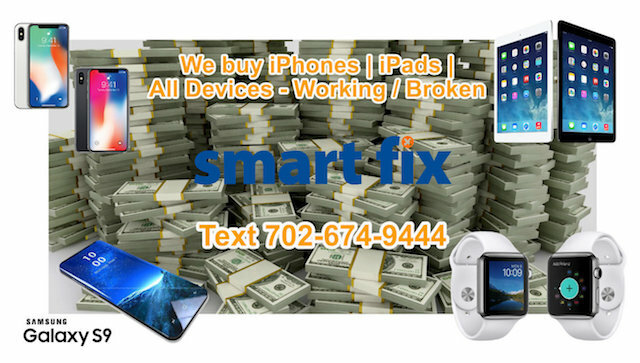 Smart Fix isn’t just a Las Vegas Phone Repair Shop! We also offer repairs for your everyday technological device. We have the professionals ready to serve and answer your questions. We have the knowledge to get your device back to operating and new condition. Tablets, such as iPads, Samsung Galaxy Tabs, and Microsoft Surface Pro’s are all delicate devices. If they fail on you, please don’t give up! There is usually a solution to get your device back to operating conditions. Let us help you save time and money! Contact us with questions, or just come in and chat! We love to help our customers. Smart Fix has been in the industry for the last 9 Years. We have seen all the Apple devices that have been released. We can offer prices that most shops can’t offer. We have OEM parts readily available for most devices. Do you need iPad repair services? Come see us! Do you need MacBook repair? Come see us! Have a question? Just call one of our stores! It’s that easy. Why Choose Us For Your Phone / Tablet / Computer Repair? Rarely will there be a shop that can offer both of these glass only repairs. What is glass only repair? Well, it’s when we repair the top glass instead of the whole LCD. By doing this we can offer a lower price. These prices will save you 25-30% vs our competitor’s prices. How popular is it? Let’s just say we supply some local shops with parts as well. The iPhone repair and iPad repair process are meticulous and specialized. We’ve invested the time and the money to research these repairs to gain our edge against competition and future-proof our business. 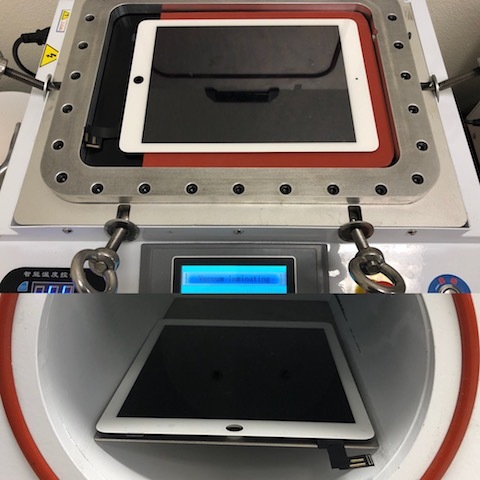 We are always looking to perfect each iPad repair or iPhone repair by finding new parts and processes. 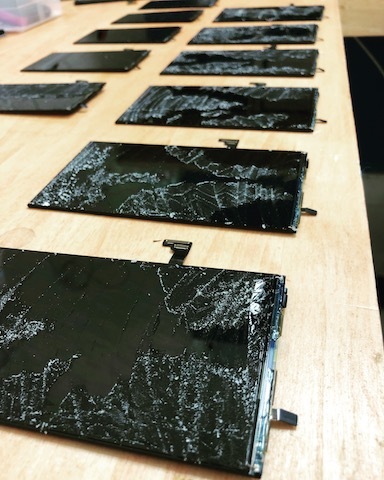 As stated in the previous section, we can offer glass only repairs for the most popular devices. We can offer Glass only iPad repair, iPhone repair, and Galaxy repair. Our prices on iPad repair and galaxy repair blow away our competition. We keep most of the popular iPad products such as Air 2, Pro 9.7/12.9, Mini 4 in stock and ready for a one day turn around. We also offer Samsung Galaxy glass only repair for the Galaxy S7 and Galaxy S8. These repairs are very popular and may be low in stock so contact us before bringing in your device. 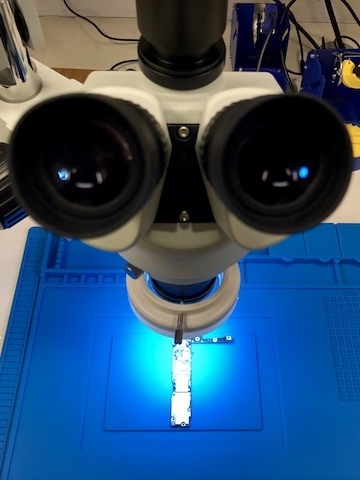 It’s 2019, and if you’re not micro-soldering then you are behind in the phone repair industry. Period. Again we invested our time and money to be able to offer these repairs. The devices are getting complex, and at the same time getting more fragile. Devices have hundreds of filters which are like fuses embedded in the phone. They also have IC chips that control lighting, power, and touch. Any of these can cause a short or fail. How do they fail? They can fail during a drop, overcharging, and when water damage occurs. Another common issue is when connectors in the phones are damaged during the repair process. If your repair store doesn’t have the know-how or the equipment to repair this, then you are out of luck. Whats to keep them from saying that your device is no longer fixable? When in fact it is, but they can’t repair it or will not spend the money to send it to someone who can. There are plenty of reasons to choose us when sending your device for repair, but if I would choose one then this would be it. The ability to further diagnose and repair your iPhone / iPad / Samsung device. Phones have gotten more complex with beautiful screens. We can repair your LCD / Glass / Buttons / Battery for a great price. Tablets are more popular now than ever. One thing that hasn’t changed is that they are still very fragile. Bring your work-horse to Smart Fix for some special treatment. Let us boost your productivity with upgrades or software diagnostics. We help you focus on your clients rather than computer problems. Let us help you have peace of mind when it comes to your networks and systems. Smart Fix Is Now Buying Devices! Do You Have Broken Or Unwanted Devices? Sell Us Your Device For Top Dollar. Our Process Is Easy – Click Below Or Text 702-674-9444 And Request A Quote Today! People Love Us On Yelp! Check It Out!